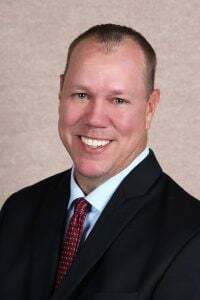 New Port Richey Councilman Jeff Starkey won another three-year term on the City Council in the April 9 municipal election. Councilman Chopper Davis won another three years on the New Port Richey City Council by coming in second in a three-person field seeking two council seats. In Port Richey, there was a referendum to amend the City Charter. In New Port Richey, City Council seats were up for grabs. 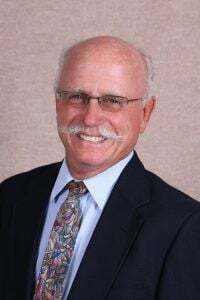 Port Richey, a city dealing with plenty of governmental turmoil following the arrest and suspension for its former mayor and ex-acting mayor, asked its residents to vote on a referendum that would alter the council’s ability to remove the city manager. The charter had stated that a four-fifths vote was needed to remove the city manager. Voters – a total of 225 – decided to change that requirement to a simple majority. The vote went “yes” by 72.89 percent, 164-61. The current city manager, Vincent Lupo, is on his second tenure in the position. He was city manager from 1996 to 2004 before being fired. Council brought him back in 2016 and gave him a 16 percent raise in 2017, bumping up his salary from $77,500 to $90,000, plus a car allowance of $300 a month. The referendum voted on April 9 was approved to be placed on the ballot by City Council. Lupo said it’s been a topic of discussion since before his return in 2016. Port Richey was scheduled to vote on two open council seats, but sitting members William Dittmer and Jennie Sorrell ran unopposed when two potential candidates, Erika Bloomquist and Joseph A. Parisi, did not qualify to run, according to the Pasco County Supervisor of Elections Office website. The five-member City Council has been struggling to function after this year’s arrests and suspensions of former mayor Dale Massad and former vice mayor Terrence Rowe. The regular council meeting scheduled for April 10 had to be cancelled due to lack of a quorum. The next regular meeting is scheduled for April 23, the city announced after calling off the April 10 meeting. In New Port Richey, residents voted to re-elect sitting councilmembers Chopper Davis and Jeff Starkey to three-year terms. Voters had three candidates to select from to fill the two open seats. A total of 1,813 votes were tallied, with Starkey receiving 781, or 43.08 percent, and Davis receiving 602, or 33.2 percent. Judith G. Allen finished third, with 430, 23.72 percent. Davis and Starkey will stay on the New Port Richey City Council alongside Mayor Robert Marlowe and council members Peter Altman and Matt Murphy. Marlowe’s term expires in April 2020 and Altman and Murphy are seated until April 2021. Starkey cited the future completion of three downtown projects topping the list: the reopening of the Hacienda hotel, the construction of The Central, an apartment complex along Orange Lake, and the completion of Main Street Landings. In addition to completing aforementioned projects and spurring economic development downtown, Starkey said he’d like to continue improving the look and makeup of businesses along U.S. 19-Gulfcoast Highway. “I really, really want to work hard over these next three years on getting the U.S. 19 corridor cleaned up,” he said. City Council recently passed an ordinance that cracks down on extended-stay motels blighting the heavily trafficked roadway and a temporary moratorium on car dealerships opening.